Every year, something wonderful happens that really makes the DIY lover in us happy; we get bitten by the creativity bug and inexplicably find lots of crafting inspiration and motivation that we try our best to take complete advantage of while we have it! There’s just something about quiet, chilly nights and a change of seasons that makes us want to hunker down and make things most nights. It’s always been true, however, that our absolute favourite crafts have always been the ones that use unconventional materials and things that you wouldn’t necessarily find sitting ready in someone’s craft room. If you’re going to get creative with your tools, however, why not make it seasonal so that you can create unique things that you wouldn’t make the rest of the year? That line of logic is how we became so enthusiastic about crafting with fall leaves. Just in case you’re as intrigued about the idea of using actual, real life leaves in DIY as we were, here are 15 awesome tutorials that will help you make very cool seasonal décor pieces or even just craft with your kids for fun on a cold day! Have your kids already collected a whole bag of leaves outside that they loved the colours and shapes of and now you’re just looking for a quick, simple craft that they can do on their own while you cook for a family holiday dinner? In that case, we’d suggest reaching for that old stack of paper plates you’ve had lying around since last year and handing the kids some regular white glue and scissors! 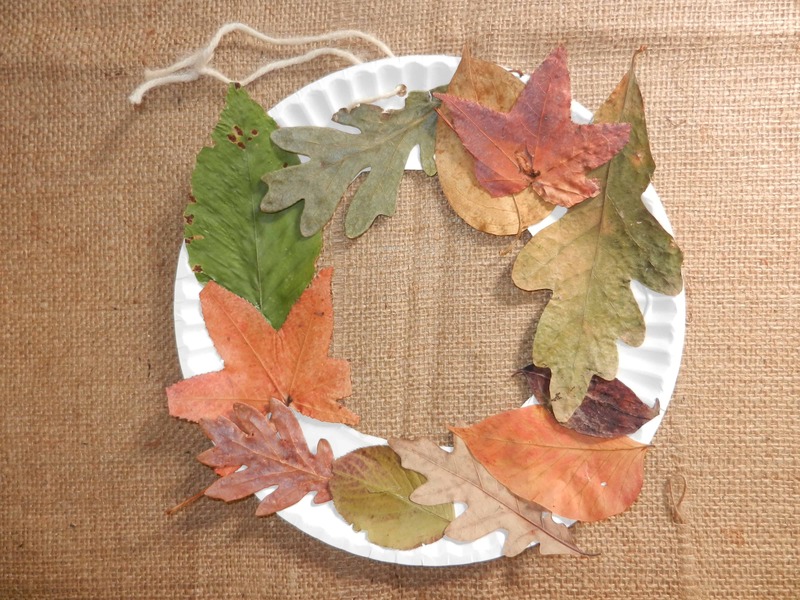 Check out how Child and Me cut the middle from a paper plate and stuck the leaves all around the edges to make a pretty little autumn “wreath” that your kids can proudly hang up under your actual door wreath. Okay, we know we said we were going to talk about crafts that you make using leaves, whereas this tutorial shows you how to use other materials to make leaves, but this autumn idea was just so pretty that we couldn’t resist including it! Hipster Tea Party guides you through the process of cutting leaf shapes out of a porous material like coffee filters and then dying it all types or pretty fall colours using water colour paint. We love the way they attached their water colour leaves to string and hung them up in a mobile for some pretty fall décor! If your yard has nice, big trees that shed awesomely large leaves all over the lawn then, when it comes to fall crafting, you’re actually in luck! Take one of those leaves, the kind with the three separate spiky sections, and flip it upside down. 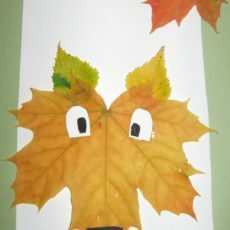 The let your kids add eyes and a nose to suddenly transform it into a cute little fall puppy dog! Free but Fun shows you how they made these ones. Do you love the idea of transforming colourful fall leaves into little characters but the leaves around your home don’t quite fall in the right shape to make the puppy dog design we just showed you above? Well, that doesn’t mean you can’t give them cute faces! 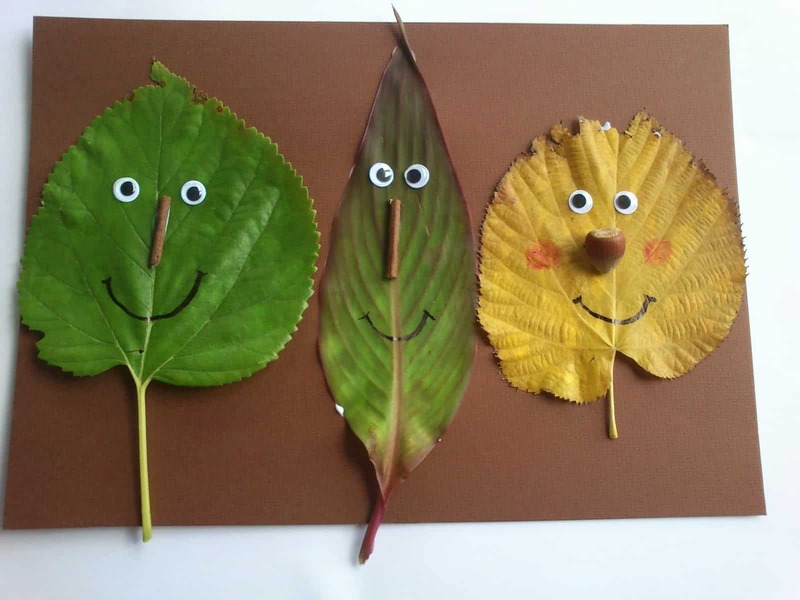 Check out how Fun Family Crafts gathered leaves of all different colours and sizes and made them cheerful by giving them eyes and smiles, plus funny noses made from sticks and acorns. No matter what kinds of leaves your house is surrounded by, you’ll have exactly what you need if you scoop some up and grab some paint in fall shades! 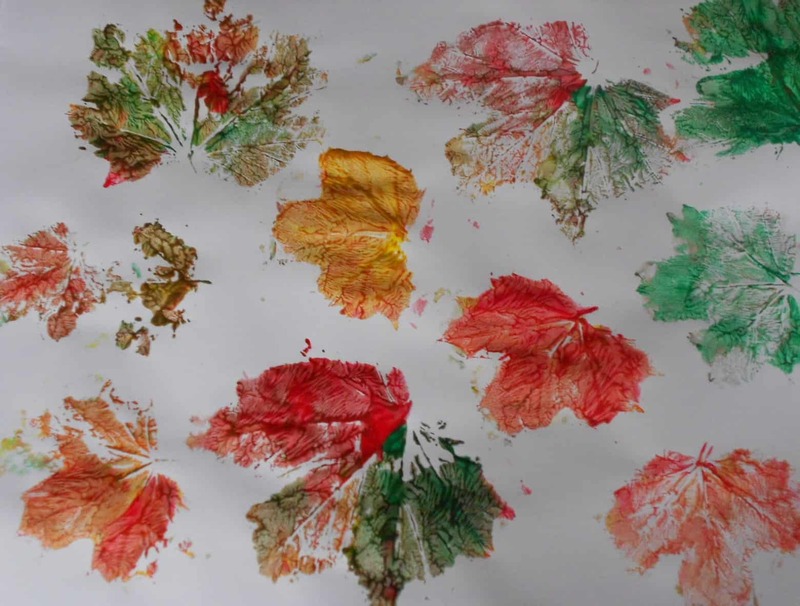 We love the way Jay & May Arts and Crafts dipped their leaves in orange, yellow, green, and red paints to mimic the colours that fall leaves fade into throughout the season, then dipped their actual leaves in the paint and printed them onto a piece of paper. If you’re very careful, you can get the little details in the leaves skin and skeleton printed down on the page too. When we craft with our kids, our favourite things to make are ones that can be used as toys when they’re all finished. That way, our kids get double the amusement time out of them! They’re kept busy while they make their craft, but they’re also kept busy after when they finally get to use whatever they just created. 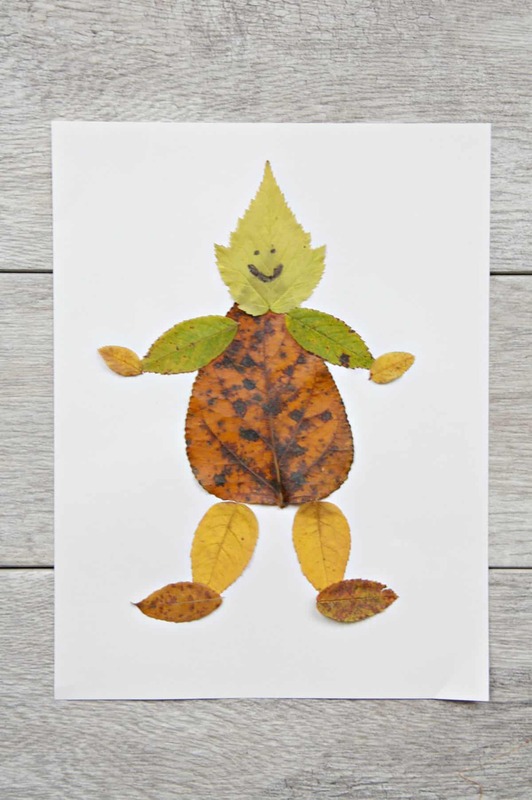 That’s why we love this fall leaf puppet idea from All Things with Purpose so much. They show you how to make a head from laminated leaves with drawn on faces, as well as how to make a body from popsicle sticks. Are you looking for some last minute Thanksgiving crafts to make with your kids that are fun enough to keep them busy while you cook dinner but easy enough that they can make them unsupervised or without help? Then simple fall leaves from your backyard can definitely help you out with that! We love the way Almost Unschoolers used wide leaves in different colours to make a turkey. 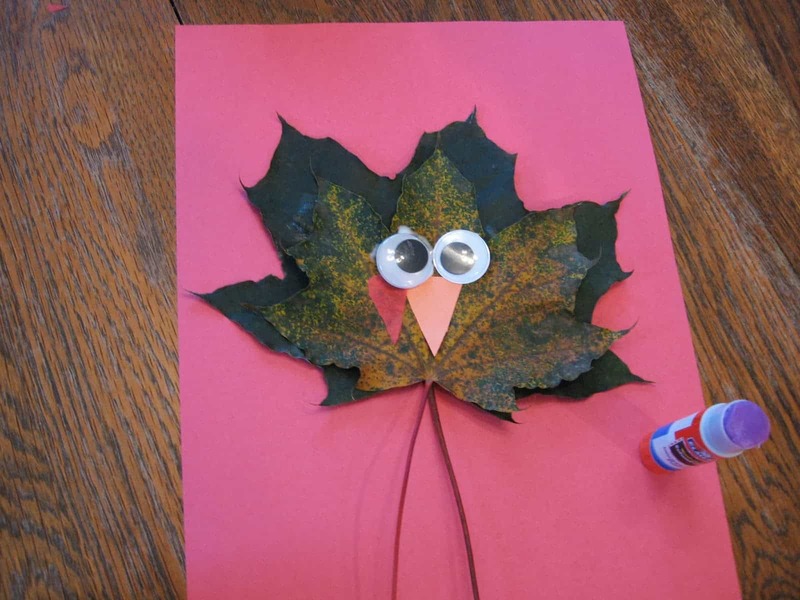 Layer the leaves by gluing them on top of each other so they fan out like a turkey’s bright tail and then add construction paper facial features. Are all the leaves that have fallen near your house little pointed ones with a very distinct shape, so they won’t work to make things like turkeys or dogs? Then perhaps you could use them to make little mice or birds, just like these ones from She Knows! 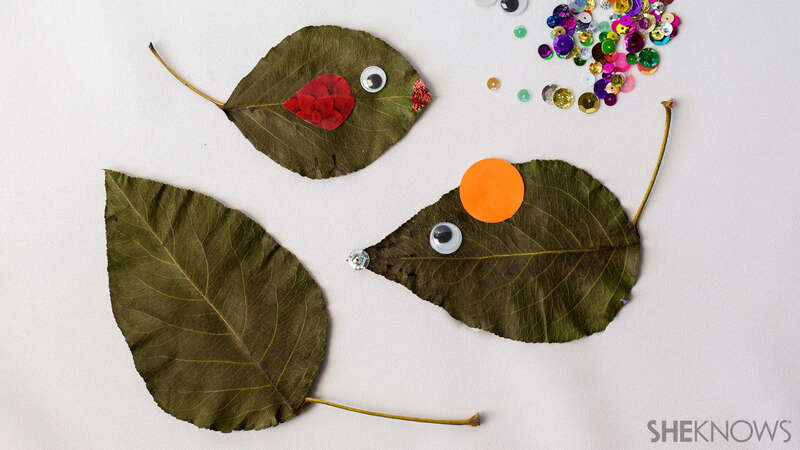 They show you how to make cute little animals by embellishing drying leaves with googly eyes, foam paper shapes, sequins, and glitter. Perhaps your kids are still very young and you’re looking for simple cut and paste craft ideas that will keep them busy, let them get creative in just a few easy steps, and help them learn about crafting with unconventional materials? In that case, we think these leafy trees from Fun Preschool Activities might be the best idea for you! 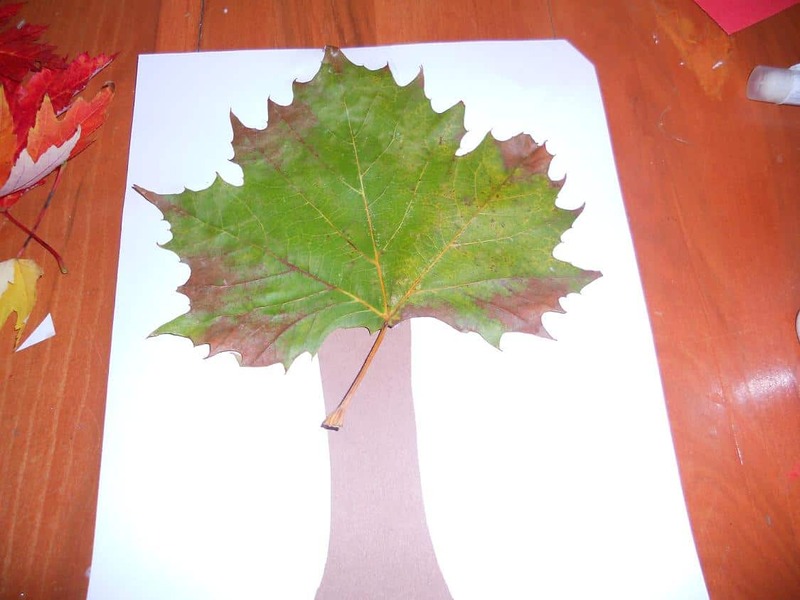 Cut and paste a trunk from brown construction paper onto a background colour of your choosing and then pick a nice, big leaf in whatever colour you like and glue it down at the top so it looks just like the autumnal trees in your back yard! 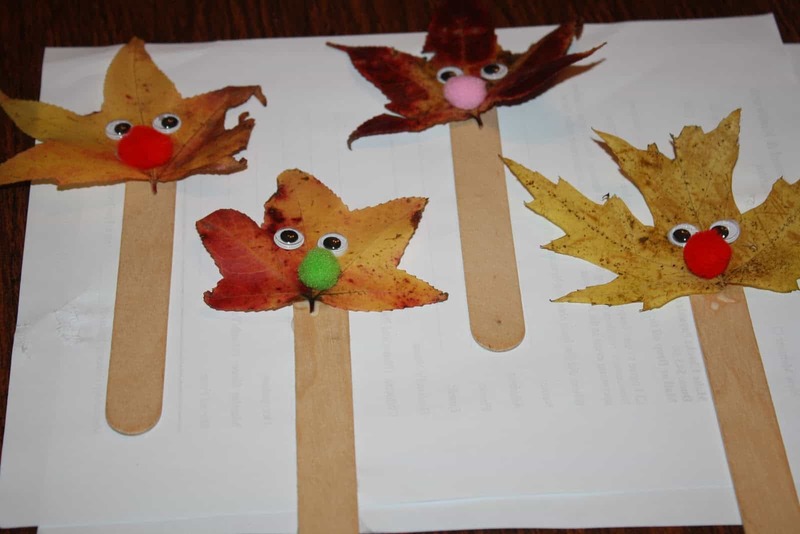 Were you a big fan of the leaf puppet ideas we showed you earlier on our list but you think your kids might still be a little too young to work with laminated leaves, as well as to make popsicle stick bodies that have more than one part? In that case, here’s a simplified version for you from The Chirping Moms that’s still totally cute! 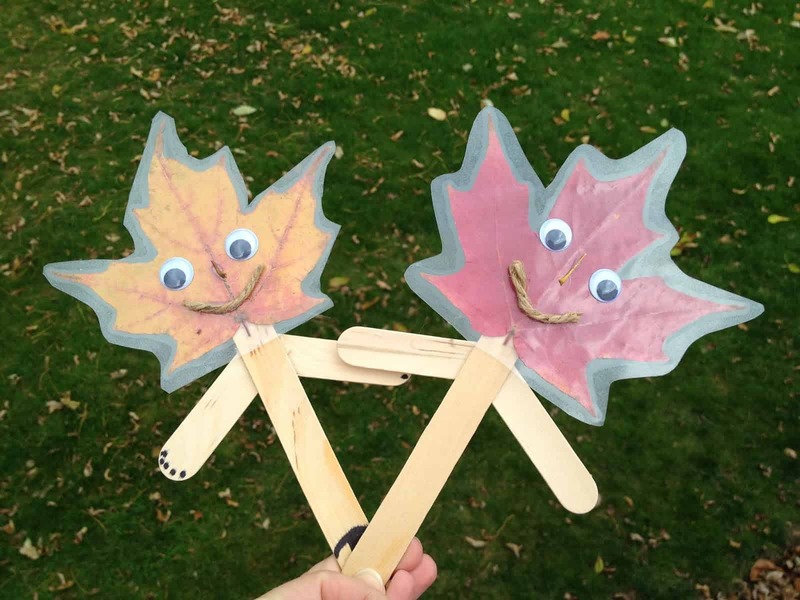 They use a single popsicle stick for kids to hold and move the puppet around and then embellished the leaf ”heads” with googly eyes and funny pom pom noses. Have you actually found some dried leaves in your back yard that are so perfectly autumn looking that you just can’t bear to alter or wreck them by trying to transform them into something else? In that case, we think perhaps making a décor piece that keeps the leaves as the focus, just as they are now, is the best idea for you! 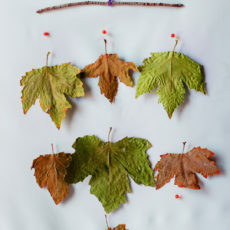 Check out how She Knows dried out some leaves in different sizes and colours and then used a simple brand to hang the leaves from on fishing line string to make a pretty, softly rustling wall mobile. 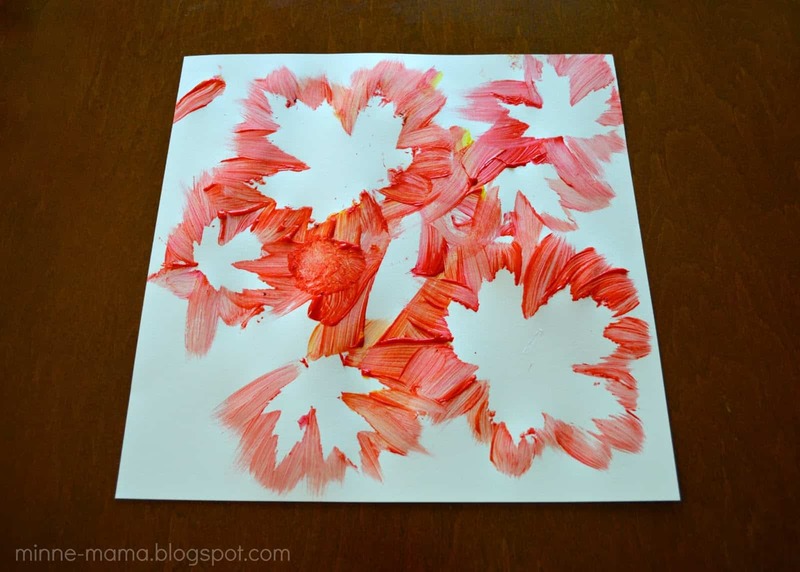 Did you love the way the finished product looked in the painted leaf printing idea we showed you above but your kids are still pretty small and working with paints is a messy commitment that you just weren’t bargaining for this afternoon? 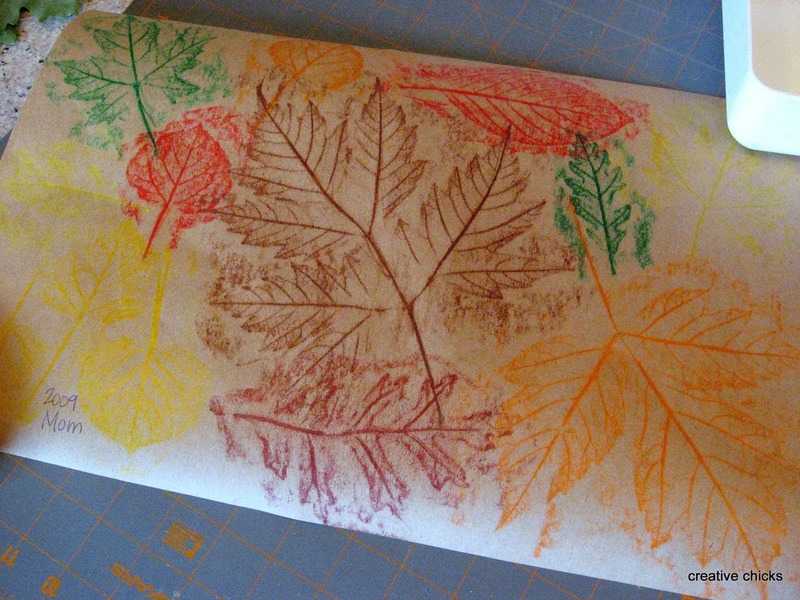 In that case, perhaps you’d prefer to give this lea crayon rubbing idea from Creative Chicks at Play a try instead! They show you how to place your leaves under a piece of paper and rub the side of a crayon (we always use fall shades like orange and red) over top, pressing gently so the tracing really picks up the details in the leaves themselves. 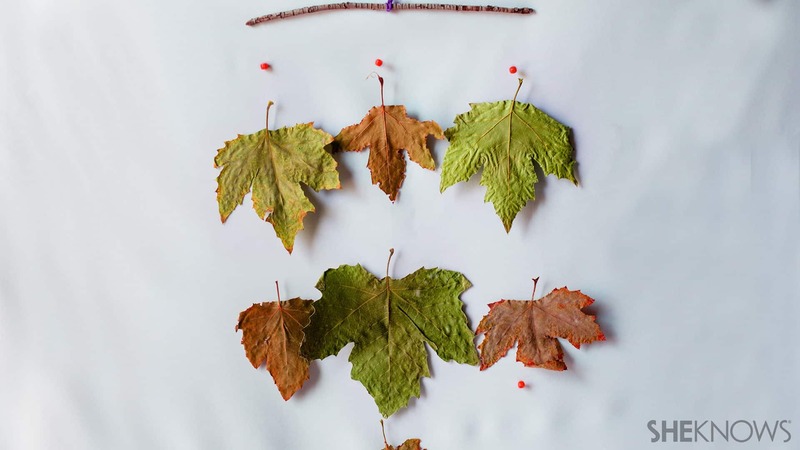 Have you found so many small, interestingly shaped leaves that you barely know what yo do with them but you’re intent on turning them into fun crafts of some kind this fall? In that case, we definitely think you should check out how these cute collage-style characters were made on My Mommy Style! They give you some tips for fitting leaves of different sizes and shapes together and stick them down to create a little picture. 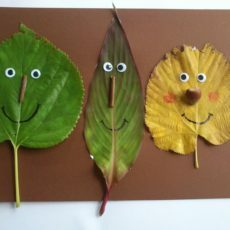 Do you love the idea of collaged leaf creatures like we just showed you above, but you also know that your kids will take literally any opportunity to make things that are big and scary looking, since they’ve been going through a total horror and monster obsession since even before Halloween? 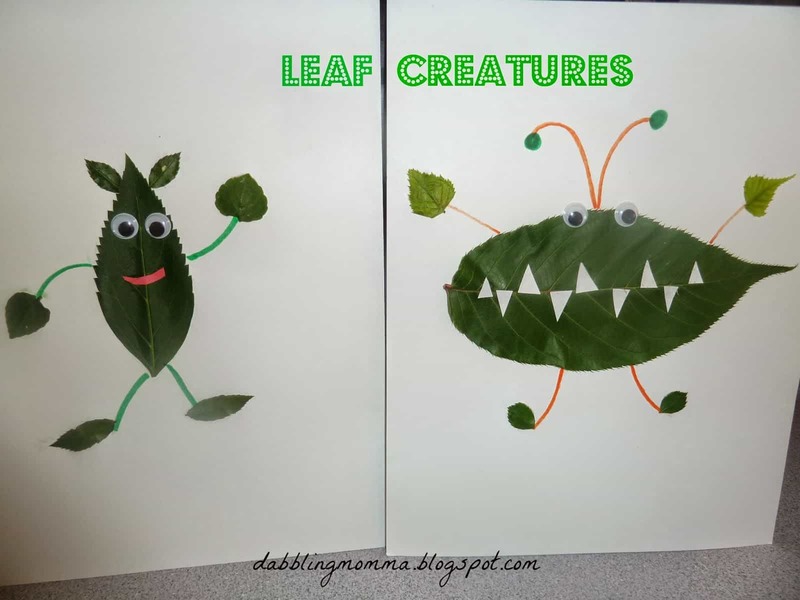 Then we’d suggest taking a look at these super cute leaf monsters featured on Dabbling Momma! 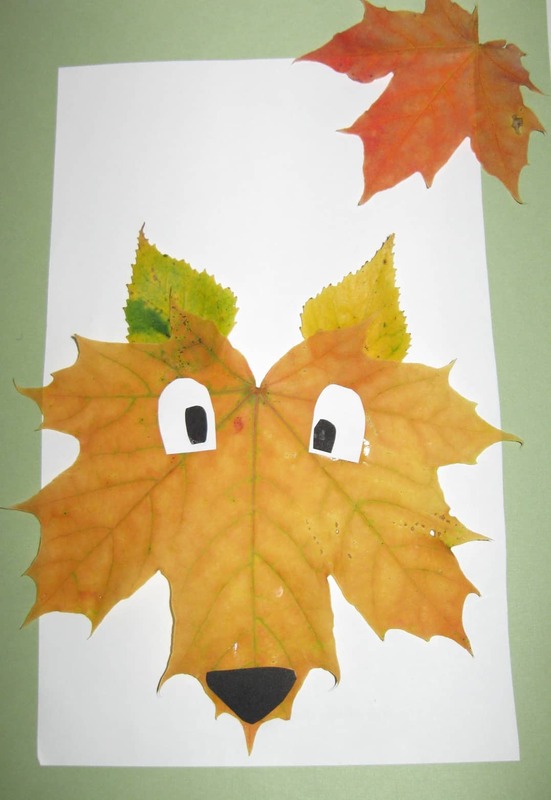 We love the way they used paper layered over the leaves to make funny little monster faces complete with “scary” fangs. Are you still thinking about how much you love the idea of using real leaves as templates to make leaf shaped art, but the ideas we’ve shown you so far just haven’t quite kept your attention? Then here’s another idea that uses a slightly different technique but still gets you an art piece that’s along the same vein. 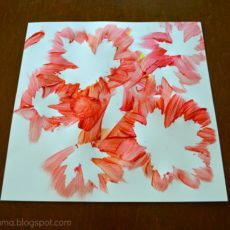 Minne Mama shows you how to stuck your leaves own on some paper, paint around them like a solid stencil, and then carefully lift them off the page so the shape of the leaf underneath is left stark white with a pretty fall coloured paint halo. 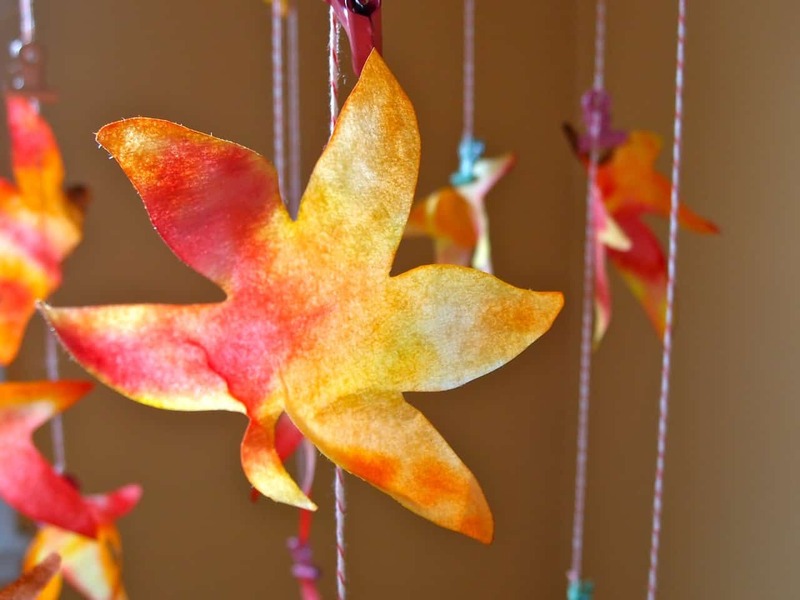 Do you know a fellow crafting enthusiast whose kids adore anything that involves fall leaves? Share this post with them for a little bit of autumn crafting inspiration!